A few weeks ago I was selected to review the Nautilus Elite car seat from Graco. 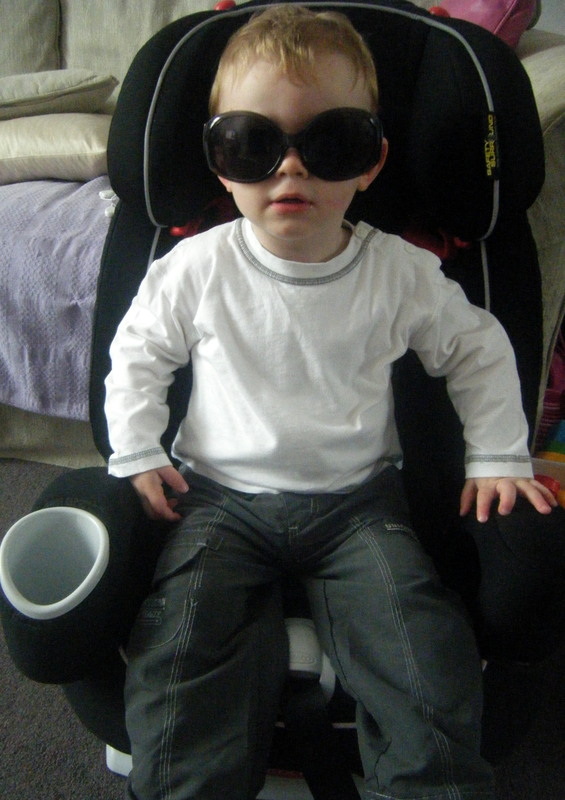 Wow – how excited was I to be trying this fab new 3 stage car seat to carry children from 9 months up to 12 years!! So as you can see the Nautilus Elite from Graco looks impressive, sounds impressive but does it match up to it’s expectations? Let’s find out. On the day the car seat arrived Miss M and Mister B where incredibly intrigued to see what was inside the huge box that had been delivered. Once I had taken the Nautilus Eliteout of the box the battle commenced as to who was going to be first to try it out. 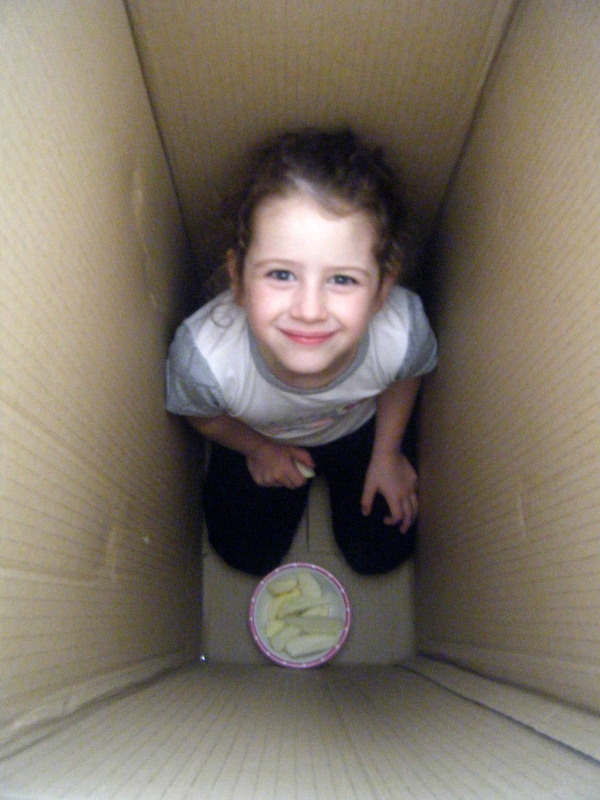 While mummy sat reading the instructions, Mister B took pride of place in the new seat and Miss M resigned herself to spend morning snack time inside the cardboard delivery box. We decided to try the Nautilus Elite without the harness first so removed the extra padded lining and the harness. This was very easy to do and was just a case of lying the seat flat and removing the harness straps from around the base and pull them through. To do this took about 5 minutes and left the seat completely ready to use for a child weighing between 15-36kg. As a non harness car seat I thought this looked very strong, stable and highly padded. Miss M fitted well into the seat and immediately I could see she looked a lot more secure than in her basic Graco booster seat particularly with the side head padding. The seatbelt glided easily across and sat securely down the back of the armrest before fastening into the buckle. There are several bonuses to this seat for this age group compared to a standard booster seat. Firstly the seat is higher so Miss M had a better view out of the window. 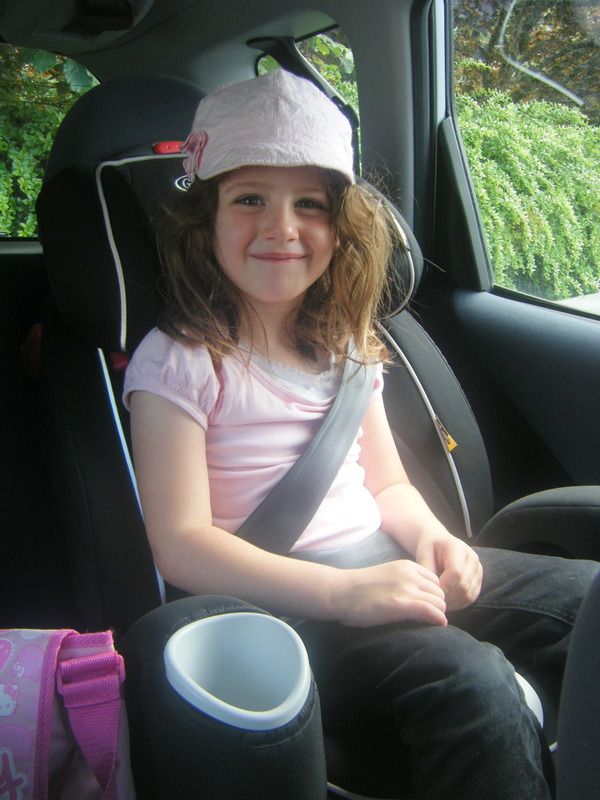 A great feature is the recline which is so useful for long journeys – something I’m particularly concerned about in her current booster seat. This would hopefully allow for a peaceful but secure sleep without the child having their head hanging forwards. A big hit with Miss M was the storage compartments on the inside of the armrests. They appeared small but were actually quite roomy when you see the little bits and pieces children take in the car with them!! They are plastic all round inside which I was grateful for as I was slightly worried about keeping them clean. (Food crumbs!!) And finally the depth of the cup holder was great – nothing worse than a child constantly knocking their drink out of the holder. We then decided to try the Nautilus Elite for 20 month old Mister B with the harness. The first thing to tackle was to fit the harness back onto the seat. I carefully laid the seat down flat and found that the harness straps were very easy to slot back on. The only slight difficulty I experienced was re-inserting the crotch strap through the base of the seat – due to the thickness that you needed to push through – but fortunately my husband was on hand to pull it through the other side!! The next challenge was to fit the Nautilus Elite to the car. I let my husband attempt this while I filmed him in action although I was surprised to see how simple this was and required little effort to ensure the seat was a secure fit in the rear of the car. Next came the exciting part – putting Mister B into the Nautilus Elite and taking him for a drive!! One thing both my husband and I found when putting Mister B into the seat was how easy it was to lift him into the seat. We have a relatively small family car and with Mister B’s Group 1 car seat we found it quite bulky at the bottom and always had to tilt him horizontally to get him in the car without hitting his head. The Nautilus Elite proved much less of a challenge and we could lift him in easily. He sat much more upright than he was used to but found it all very exciting enjoyed the new view from the car window. He looked so much more grown up but really relaxed and comfortable in the Nautilus Elite and I had every confidence in the safety and protection that the seat provided for him. The buckle was easy to fasten and tighten and equally simple to remove when taking the child out of the seat. An additional feature of the Nautilus Elite is that the seat covers are machine washable. This is great not only if they get something spilt on but for general dirt and grime that builds up over time. All in all a fabulous car seat, the Graco Nautilus Elite has proved it’s worth in it’s ease of use, ease of set up, it’s multi tasking ability to adapt to different age/size groups and it’s luxurious extras – namely cup holder, storage compartment and plush padding. 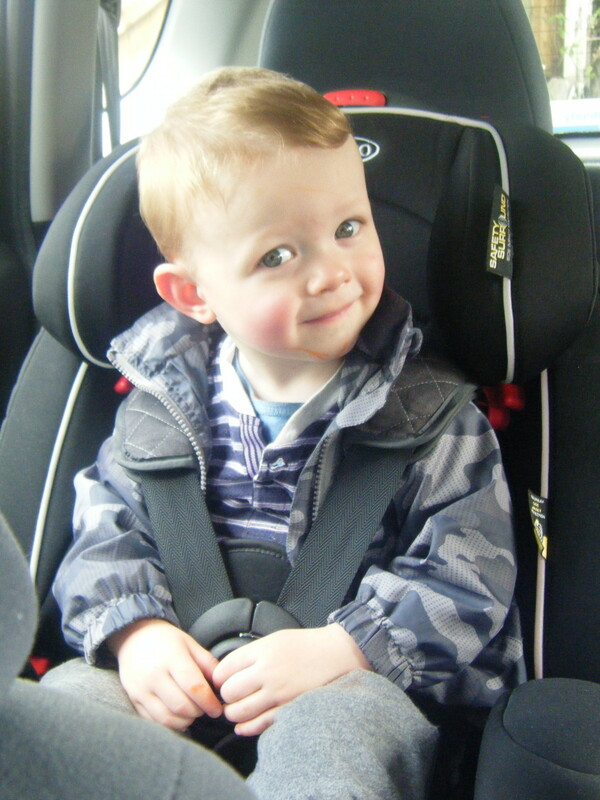 This entry was posted in Reviews and tagged car seats, Graco, Graco car seats, Naultilus Elite by Fiona Martin. Bookmark the permalink. Thanks for the review! Your little boy is missing the chest clip in the photo – super dangerous. I hope you put it back on before using the seat.